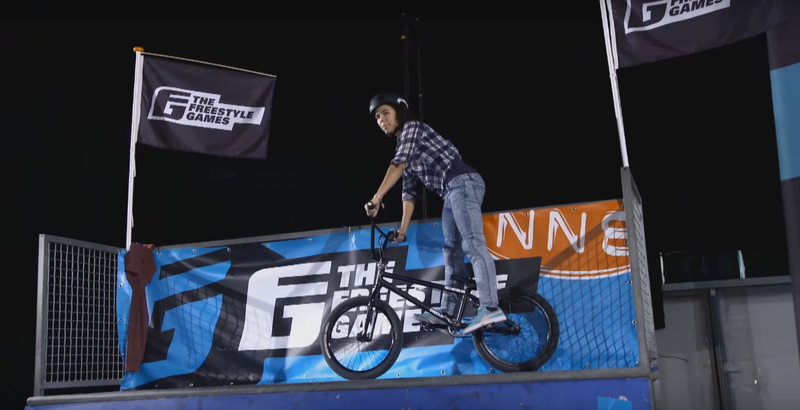 It's good to see there's still a strong flatland community in Japan, check out this edit of a few ladies burning the pavement at Meriken Park. Sam popped the question, and Alise said yes! dbetcher44 "Yesterday I had the honor of shooting Sam’s surprise proposal to @alisepost11. We collectively planned to fool her into a photo shoot “for Pull Magazine” on Coronado Island by telling her I wanted to shoot something different from the normal track side portraits. I was probably nearly as nervous as he was because I had to lie to her face about the purpose of the shoot when she arrived, without cracking a smile. 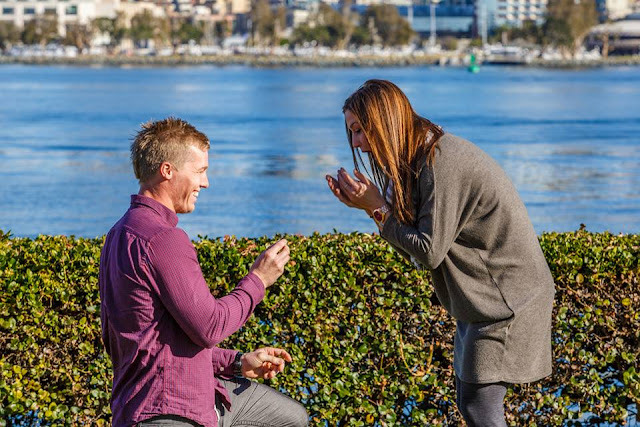 I was really froze out during the first few shots before he hit her with the question, but then he dropped down and got a grass stain on one knee and the shots were awesome. Congrats guys!!" "Join us for a weekend of events and clinics just for women! Meet fellow riders, make new friends and learn new skills. 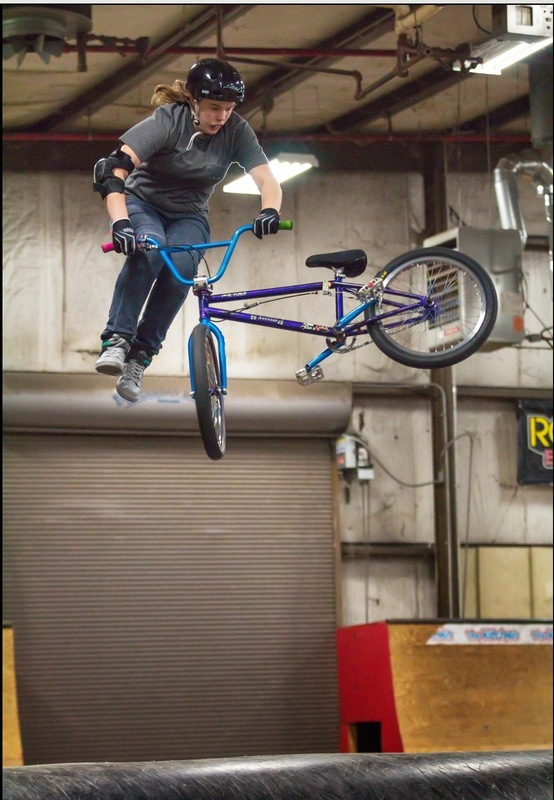 The weekend welcomes riders of all types and skill levels, and we will have 6 instructors with experience ranging from Freestyle BMX to Cross Country Mountain Biking. Hey Everyone this video captures racing video fro Sweden and Colorado! Sweden racing was A LOT of Olympic points for me which are super important for Olympic qualifications!! Here is the link so you can watch it #53 Amanda's Vlog :) Thank you! Spent a short day at Stouffville one afternoon and took a few shots here and there for this tiny edit. Enjoy! If you ride BMX (which I hope you do since you’re on this site), you most definitely know a friend who is a filmer or photographer in the group, or maybe that person is you. Have you ever thought of stepping up your game and making it a career? There is really no better person to ask than Corinne Walder herself, who has done many emotional and in-depth documentaries starring Sam Willoughby, Shanaze Reade and Steven Cisar (to name a few). Originally from the UK and now based in California, Corinne started her career by studying broadcast journalism at the London College of Fashion. Most people would probably say they've made it after working for renowned company like the BBC; but she later made the move to freelancing, which she’s now shooting for a number of companies, and producing in-depth documentaries like the one below. 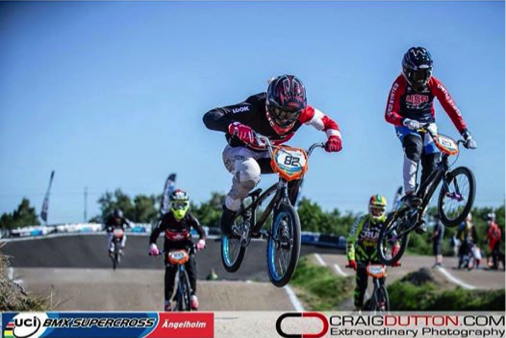 “Steven Cisar started out in Motocross as a child, later into his teens he focused on BMX racing full time and quickly became a known name on the circuit picking up good sponsorships. 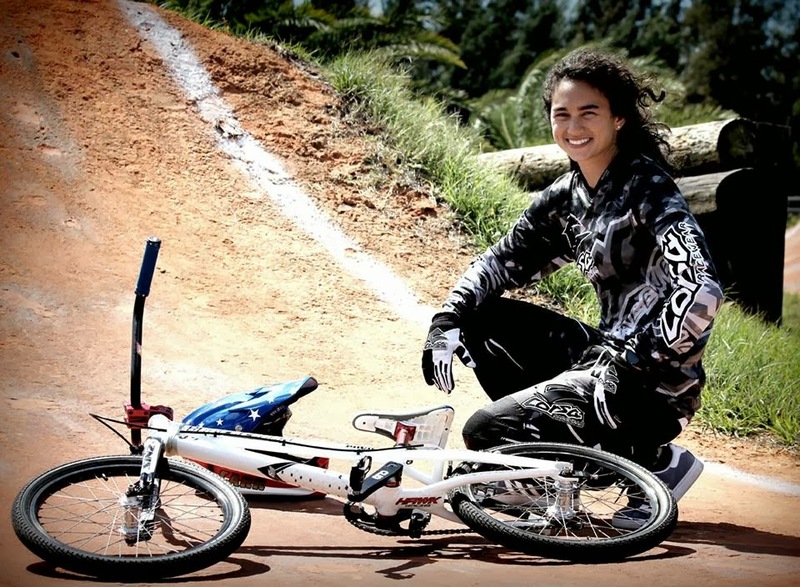 In 2008 he got 2nd at The BMX World Championships and was on the USA Olympic trials team. The Olympic trials race took place just before the 2008 Beijing Olympics. This would be a race that would define his career, if he did well he would have been selected to represent USA at The Olympics, unfortunately Steven crashed out which meant he wasn't selected. A few months later Steven started getting into drugs, smoking weed, drinking alcohol and started using prescription pills to get high. He didn't realize but his body started slowly getting addicted to them where one day his friend noticed it and told Steven's family that Steven is addicted and needs help. Steven went into rehab in 2009 due to his addiction, he went in a few times over the course of two years. At one of the rehabs he met a guy who told him about Heroin and convinced Steven that it is an amazing drug to try, it's cheaper, easier to get and you get an amazing high. When Steven got out of rehab he went to get heroin with this guy and used it for the first time, he quickly became addicted to heroin without any of his family knowing. His mother started noticing Steven selling everything, Steven even got arrested twice with possession of heroin and the court ordered him to either do rehab for the last time or he would have to go to jail for 6 years. Steven went to the last rehab in the desert in 2012, this was serious and Steven did whatever he could to get off heroin, he did it the hard way, without medication. He was in rehab for three months, until Christmas 2012 where he was released and spent his first Christmas for a few years, clean. Early 2013, Steven started getting back into BMX and started racing again with help of Derek Sipkoi. Since then he has been gaining sponsorship again and making it back to the top of the sport. 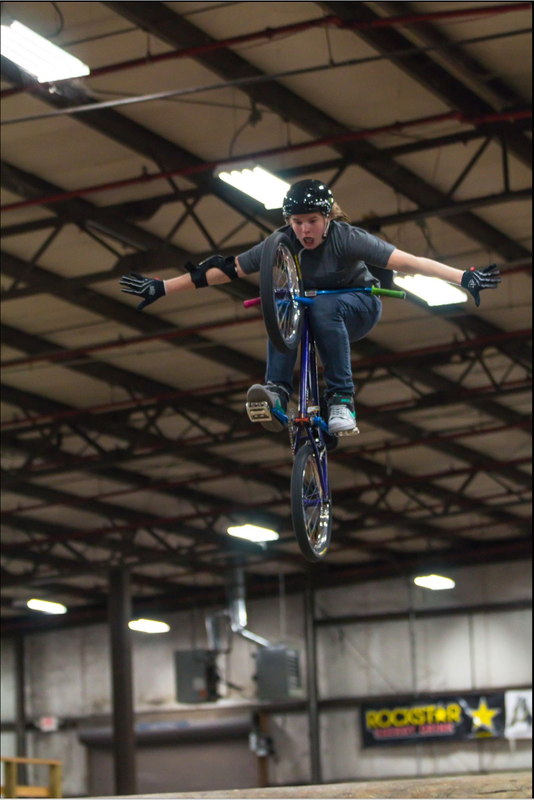 This year Steven was selected to race the 2014 BMX World Championships in Holland. Steven made it through to the Semi finals, missing out on one place. HIs goals for the future are definitely the 2016 Rio Olympics, he is training and racing hard to become one of the best in the world again." At what age or moment did you decide to go into the career you’re in now? I studied Broadcast Journalism at University, in our last year we had to produce a short film - I decided to do a short documentary on an athlete ahead of the 2008 Paralympics - his story was incredible. From there I realised I love filming, editing and capturing someone's story. What advice would you have for ladies who are looking to get jobs in your line of work? If it's something you really enjoy doing and have passion for it you won't need advice... Just start putting your work out there. A capture of Sam Willoughby in "Every Pedal With You"
How do you approach companies? / How did you get your foot in the door? I first started by selling my graduate film to the BBC, I was 20 at the time so it was a massive stepping stone for me, I think this gave me the confidence to carry on and from there. I feel like you’ve worked with a lot of big pros, on some really intense topics. When was your first big break… or, do you feel you’re not there yet? Definitely not there yet - Steven Cisar's short documentary was intense, I was so glad he could be so honest with me and make my job so easy. I wish I could have done a longer version there was so much to fit into such a short timeline. Sam in "Every Pedal With You"
Hopefully making more feature length documentaries, there's a few things in the pipeline and I am looking forward to collaborating with people on the next projects. How was "Every Pedal With You" approached, did you contact Alise and Sam one day and was like “Hey, can I follow you for 12 months” or was there more of a collaborated process? I was filming Sam for a few webisodes and got some content we didn't use, I then continued to film him and contacted iTunes and sponsors to see if it would be of interest. 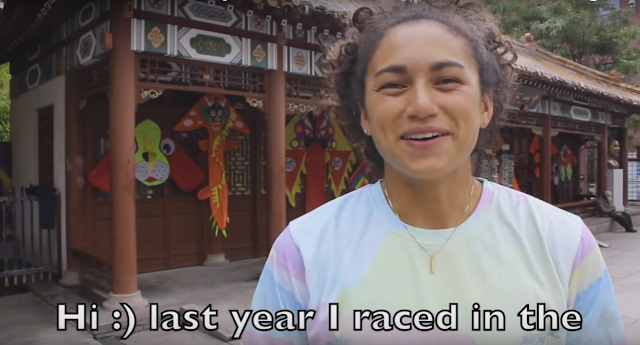 Alise Post in "Every Pedal With You"
There were clearly some intense moments during these 12 months, were there times where you felt filming should have been off limits, or moments where you questioned yourself if it should be filmed? For all of Alise's moment's about her mum, we didn't do any filming, only at the end of the year it felt right to do an interview about what happened. After Sam's crash at the Grands this was difficult and I didn't interview him until after we got back to San Diego. Who are the list of riders we can expect to see in the doc, other than Alise and Sam? I did sit down interviews with Maris Strombergs, Nic Long, Tyler Brown, David Herman, Jelle V Gorkham, Mariana Pajon, Brooke Crain, Alise's family and Shannon Gillette. Alise and Sam in "Every Pedal With You"
When will this be available for iTunes, and can riders purchase a physical copy in the future? It's out now (UK + Canada)! Physical copies will be out at the end of the year in the third season of Gate 8 DVD. Thank you to everyone who sent in their questions, and I apologize for not being able to credit them as it's been a year in the making of this interview. 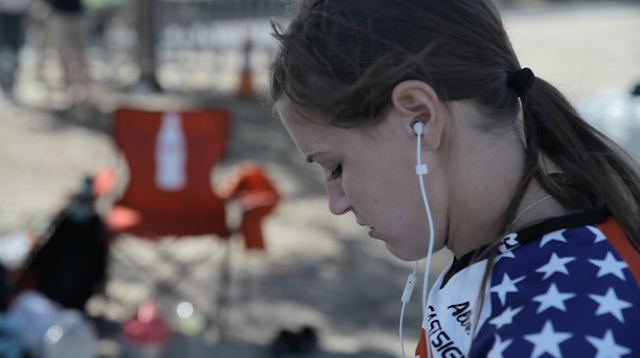 American riders can expect "Every Pedal With You" to be available by next week on iTunes, Amazon, XBOX and Google Play. iTunes Trailer for 'Every Pedal With You' from Corinne Walder on Vimeo. Trailer to iTunes documentary film "Every Pedal With You". A documentary film shot over 12 months in the USA following two athletes on their journey towards winning the ABA title! Tell us about your preparation for Pan Am, where did it stack up compared to your other major races. Was there a different game plan in preparing for Toronto, and what were your expectations? Felicia: I do most of my preparation during the off season, but continue to work hard during season. I have a very similar game plan for most of World Cups and Word Champs by practicing a lot of supercross before the event. I personally just go to races and try my very best every time. Could you go back and tell us about what you remember during the main, going into and then out of the first berm. Do you recall what your first instincts were; did you even notice what was happening? Felicia: I just tried to have the best first straight I could have and with that I felt I had enough speed to jump the triple. When I landed the triple I was on the outside of Mariana who fell. I tried my best to avoid the crash and then get back on track to get to the finish line. You looked very calm and collected during the ceremony, I'm wondering what you were thinking at that moment. Where does this rank in your most memorable achievements? Felicia: This event is one that I will never forget. A lot of my family was there which made it that much better as well. I've come close to a World Cup win before, but not close enough, so this might be the one of my highest achievements. I don't think all of the emotions from the race settled in yet during the ceremony. Believe me I was happy! Felicia: My family and I went out to a restaurant to celebrate that night. It was awesome for them to be there to celebrate with me. Can you tell us what the Athletes village was like, for some of us who may not know? 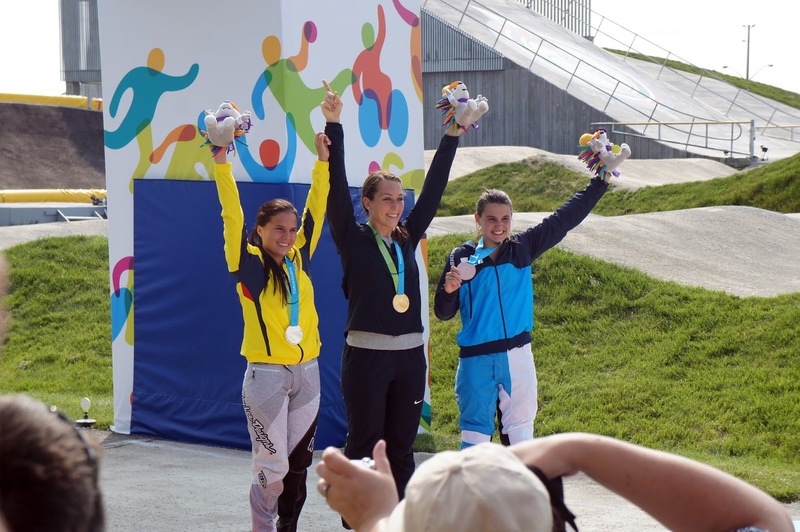 Felicia: I never competed in the games, so this was the first athlete village I experienced. I spent most of my time in the cafeteria and in the USA building. It was very much like staying in dorm rooms in college. The dining hall was extremely big with plenty of food options. I heard there were some issues with the berms on race day being a little slick, how did you find the track, as I hear it’s considerably mellow compared to other world tracks. Felicia: I did not notice the turns being slick, so I do not know. The jumps were not as big as other tracks, but still very fun. 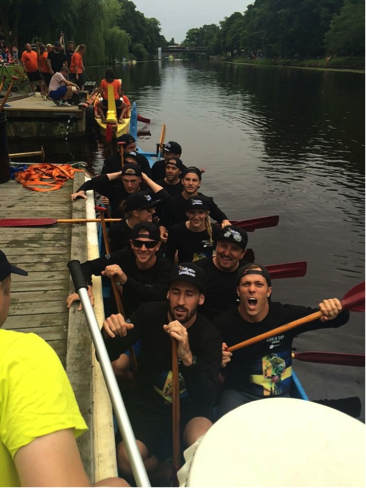 _rachelgaskin asks: Well done at the Pam Am games! 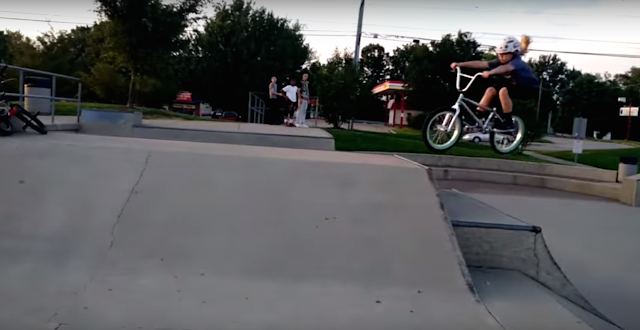 How do you find a good BMX and study balance? Felicia: My school supports me a lot with what I do, which is very helpful. Besides that I do not have much time to watch TV or other things, but I enjoy training, racing, and studying very much. 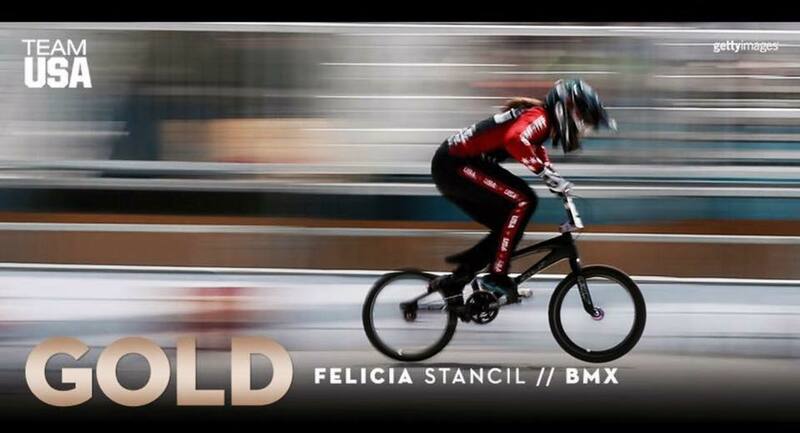 blackcrownbmx asks: Congratulations @feliciastancil23 How do you stay calm before and during such a big race? Felicia: As I'm in the gate I only focus on myself getting down the hill as fast as I can. The rest of the lap is usually on auto-pilot from what I did in mottos and practice. 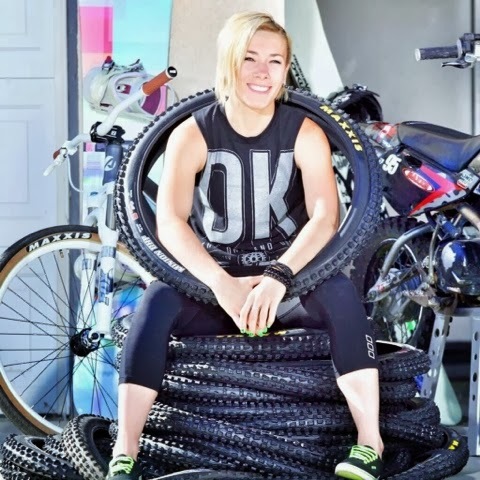 charisma_markovic asks: What's your favourite piece of racing gear, or bike? Felicia: I like everything I wear and ride with, but I guess my entire GT Carbon frame has to be my favorite. 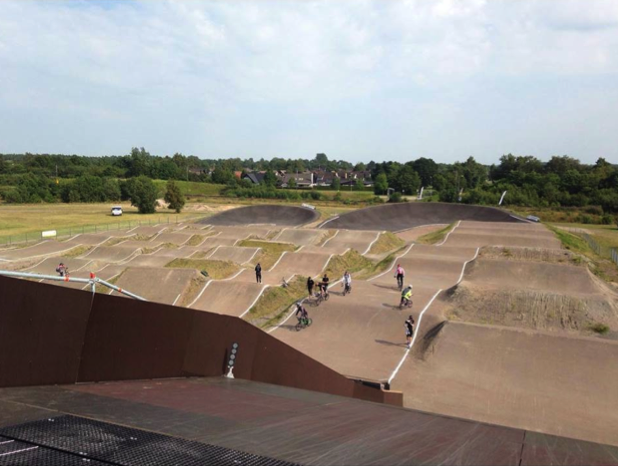 charisma_markovic asks:Do you have a favourite BMX track? Felicia:: I like all 3 of the BMX tracks I train on very much! There all fun in different ways. 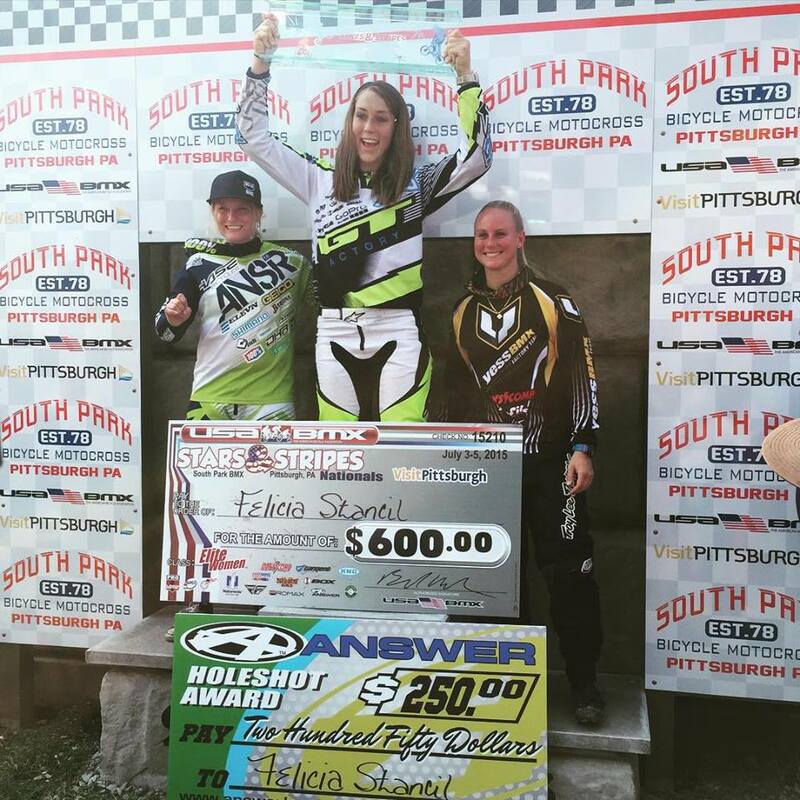 charisma_markovic asks: Have you faced any challenges being a female in this sport? Felicia:: Not really, people are very supportive of my racing. One just has to believe in them self. charisma_markovic asks: Could you offer any advice on how to train on track, and of? Felicia: Always keep it fun, but I ride a track around 2 times a week and do a lot of sprints. Kind of a silly question, but if you could educate. Is it a rule for all of the representing athletes to wear their countries uniform 24 hours a day during the Pan Am event? Felicia: I do not think it is a rule, but it is cool to represent your countries clothes during the event. Rio is a little over a year a way, are you thinking about the Olympics right now, or just taking it day by day? Felicia: I always take it event by event. That has worked best for me. Lastly, did you want to dedicate the win in Toronto to anyone, or any group of people? 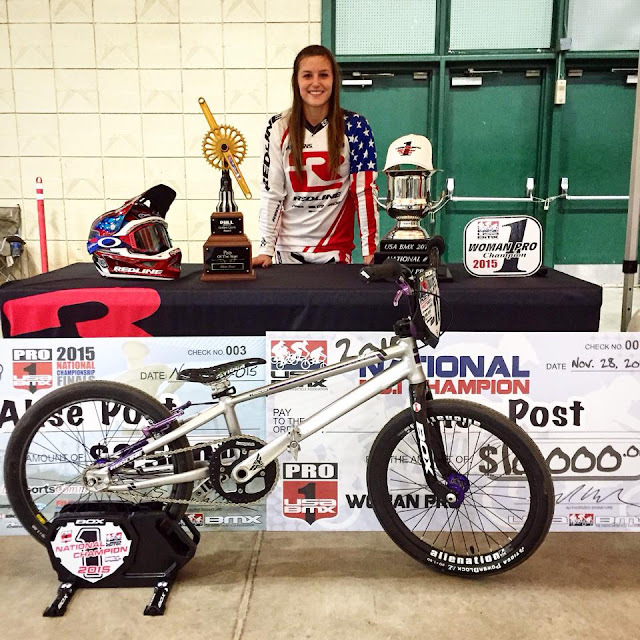 Felicia: My family, GT Bicycles, and USA cycling. I could not have done it without their support. What an incredible day for Felicia Stancil! 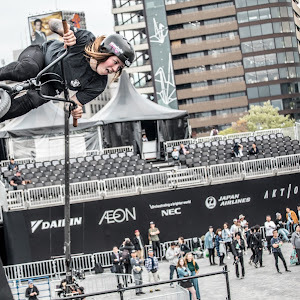 Felicia had a strong lead in the Women's final, and even avoided the carnage in the first straight, started between Alise Post and Mariana Pajon. 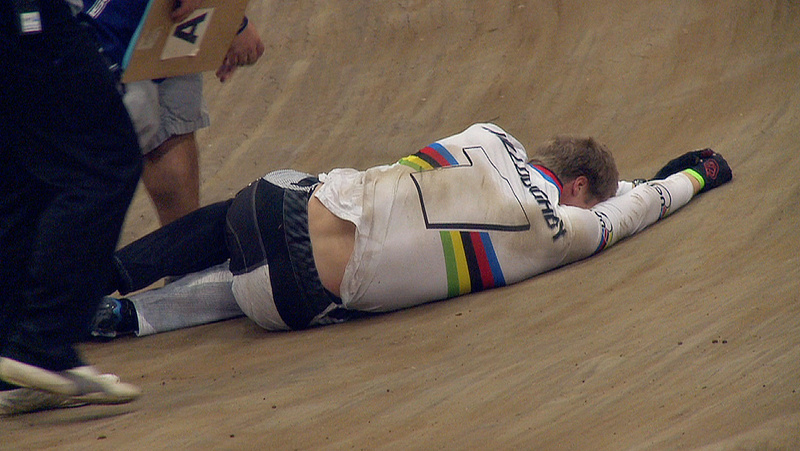 The Queen of BMX was knocked out during the duration of the run, but managed to complete the track moments after medical arrived on the scene. Pajon coming in last was a huge upset for sure, especially after dominating each and every one of her heats up to the finals. 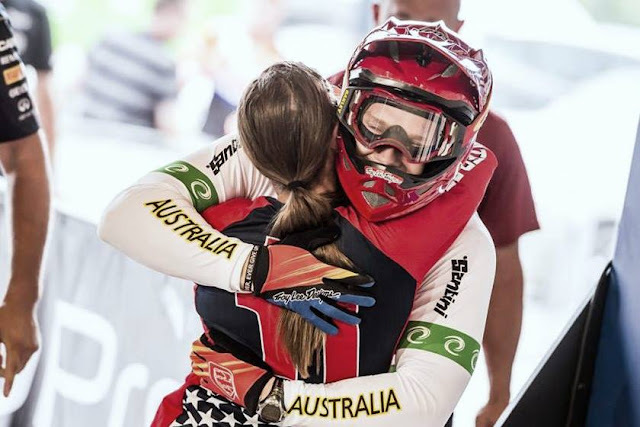 The crowd favourite rode past defeated, but the fans cheered on and the Queen of BMX responded with a pat on her heart and air kisses to her fans. 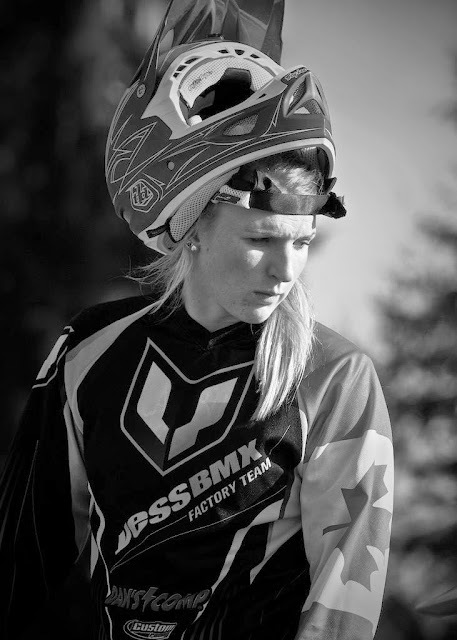 Our girl Amelia Walsh rode hard to the very end, but did not qualify for finals. Teammate Daina Tuchscherer finished 5th, however was 1 second shy from qualifying too. 52 - Amanda Carr อแมนด้า คาร์ | vlogs are back!!! Amanda Carr is back with the vlogs! Watch this journey from Chicago, to Abbotsford and finally Montreal! "The vlog is back! 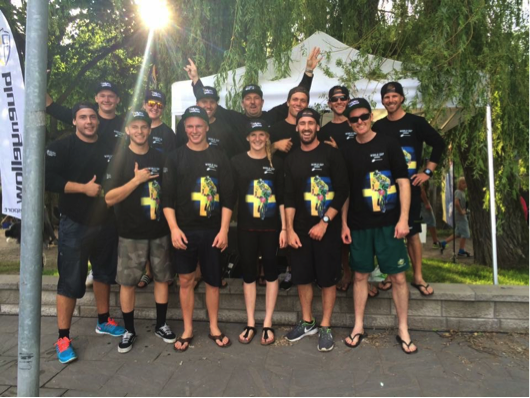 Racing in Chicago, Abbotsford & Montreal, CA! 3 races in 3 weekends! 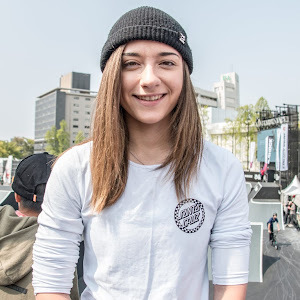 Follow me on facebook for all my daily updates :) facebook.com/AmandaCarrBMX วีดีโออัพเดทกลับมาแล้ววว... การแข่งขันที่ ชิคาโก้, แอบบอตฟอร์ด, มอนทรีออล อัพเดทกันทีเดียว 3 สนาม 3 อาทิตย์ติด! 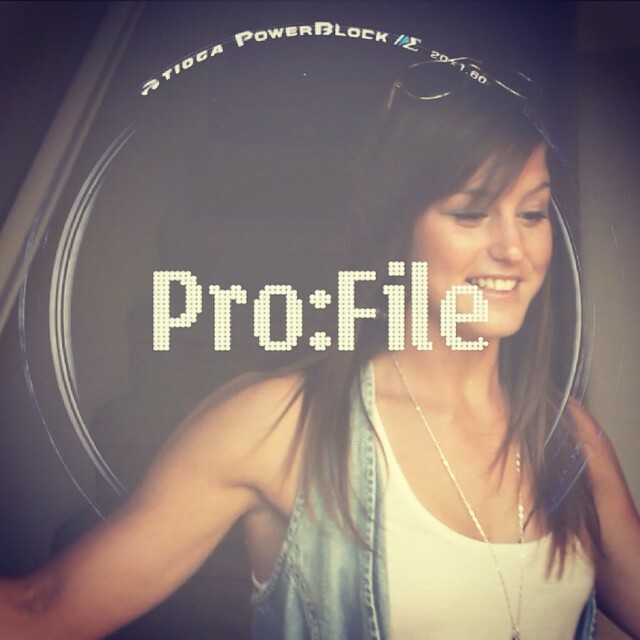 ติดตามกิจกรรมและข่าวต่างๆของอแมนด้าได้ที­่เฟสบุคนะคะ"
I personally love Tioga-profiles, here's one that I've been waiting for with Alise Post! 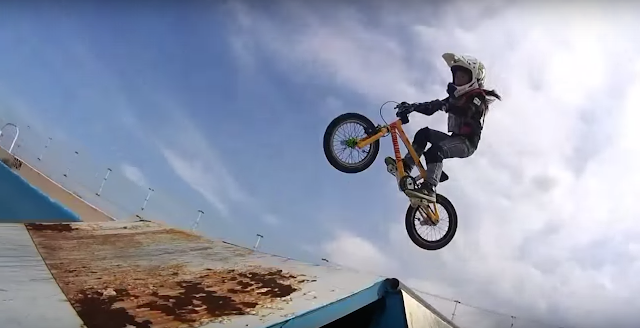 2015 TIOGA PRO:file - Alise Post from TiogaBMX on Vimeo. 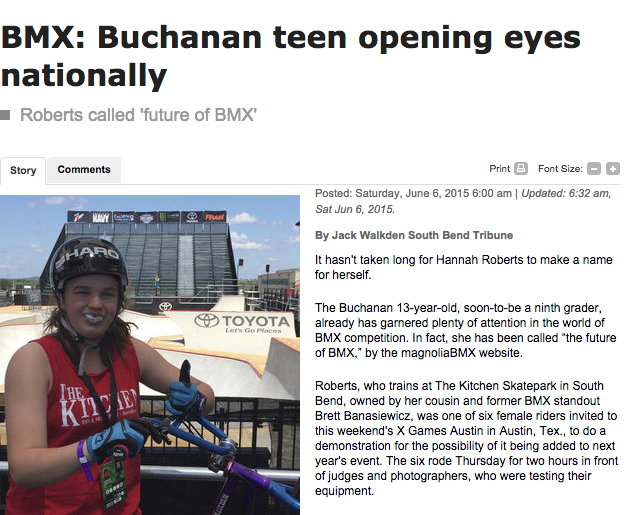 I have no idea what she is saying, but I'm assuming this is a teaser about BMX... I'm pretty certain about that. ออกอากาศทุกวันเสาร์ เวลา 15.30 -16.00 น. ทางสถานี Amarin TV ช่อง 34"
My to do list of meeting Tory Nyhaug, completed! One of the biggest moments in my racing career so far, was being able to compete in the Pan Am Test event. It was one of the most fun, exciting, challenging and stressful weekends to date, and as much as it was around riding a new track, it also had to do with scrambling for proper race pants last minute. 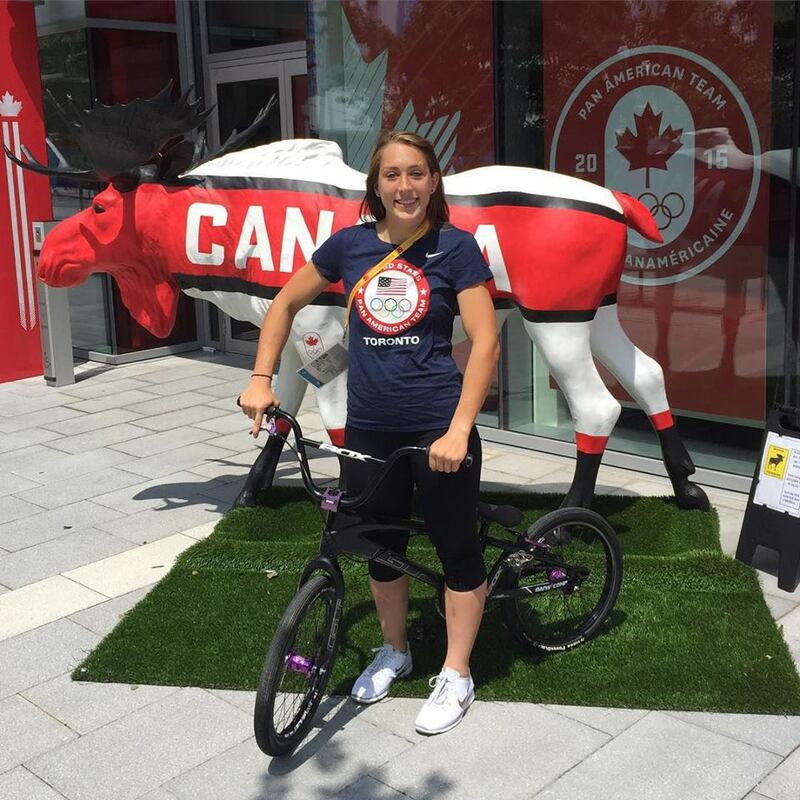 When comparing BMX Canada and UCI rules, they are pretty much the same, except the UCI is a little more specific and strict. On a regular basis, I choose to ride in yoga tights, it's comfortable, moveable and unfortunately the race pants that I've tried are not. So on the day of the event I took a chance and came as is, and as soon as the commissioner saw my tights, I got an instant "no". I scrambled, asking everyone if they had a pair of pants I could borrow for the two day event. From coaches, to strangers, it wasn't until my savour Andy showed up -he had a pair which fitted just good enough for me to compete. Another rule that is a little more lenient with BMX Canada are gloves, but luckily I had a random pair laying around that I brought with me. Between the two organizations, there were a few differences. The one that stood out the most was how on point they were with the schedule, everything ran on time, down to the minute. Day 1: The weather was calling for rain, but we were advised that as long as it wasn't storming we would be able to run the Super Clinic. I arrived on the scene a few hours too early, purposely done so that I could watch the pro's practice - which I missed out because practice was moved up a lot earlier that day. So I arrived at Centennial Park, just in complete awe of how big and overwhelming it was - little did I know it was considered to be "mellow", compared to the other UCI sanctioned tracks in the world. I'm at the track, and it started to rain, light at first, then hard for about about 10 minutes. By that point the Super Clinic was called off. My chance of getting used to the track had to wait until the actual day of the event. Day 2: Aside from worrying about my pants, I was super nervous about my performance. It's one thing to race, but to do it on a brand new track was another. I decided the night before to stay in a hotel, so I could be at Centennial super early the next day. I practiced as much as I could, the amount of adrenalin I had prevented me from getting tired. When it was time to race, I was in the challengers class, which meant that any girl over 15 would be in my class. I had a full gate, also a new experience for me. I finished with 4th, being beat by a 15, 16 and 41 year old. I felt pretty good actually. The exciting part was walking up to the podeium and being cheered by peers. It was, a very exciting day - worth all the stress I went through. Day 3: The last day wasn't as eventful, it was just me and another racer - I finished second. The real highlight of that day was meeting Tory Nyhaug, where I had him sign my helmet and even had him pose in a photo with me. It was an experience that I'll never forget. I'm looking forward to seeing the pro's ride in the Pan AM games, and hopefully I'll get to ride the track again in the near future too. Natalya Diehm B-roll,Throw-away's and Instagram mashup from Ikikyabut on Vimeo. "This is a little edit thrown together while Natalya recovers from a knee reconstruction (Ruptured ACL and torn Miniscus). Unfortunately we didn't get all of her bangers on film before the injury so we have just put the left-overs and Instagram clips together.Hope you enjoy it and show some appreciation the next time a girl turns up at your local on a BMX. Music is called The Buzz by Hermitude, go and hit them up on Soundcloud to purchase the song. 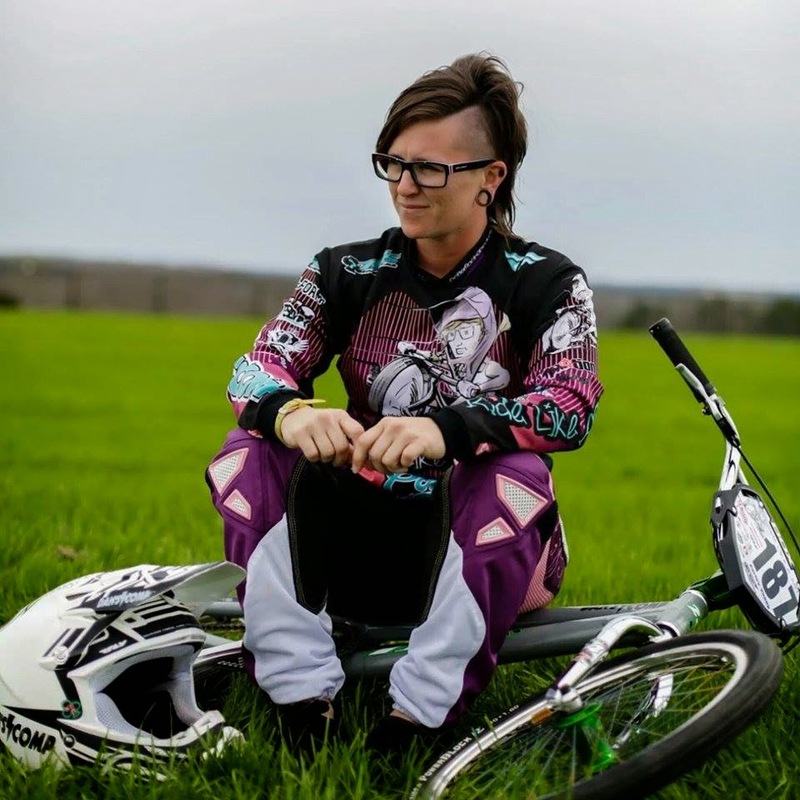 The best female racer in Canada is set for the Pan Am Games, but she's a lone wolf since being kicked of the National BMX team. 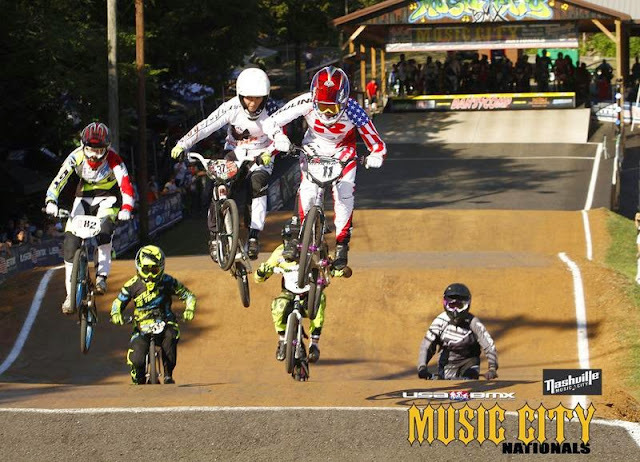 "Nashville Music City Race Report: Nashville is probably one of my favourite tracks on the USA BMX Pro circuit. The first straight is basically a drag strip into a massive table and step up into tight corners, which always makes the pro racing interesting. It was nice getting to see some familiar Canadian faces since I've been a lone wolf training in Chula Vista for the past 2 months. I felt really good in both Thursday and Friday practices and was confident going into racing on Friday night. The Pro Women class had 2 racks of 6 or 7, therefore top 8 went to main. First two motos on Friday went well coming across the line with a 3rd and a 4th. Third moto I had some stiff competition and was coming out of lane 8. I ended up 5th, which still secured my spot for the main. I had 2nd last lane choice due to my 5th in the last moto. Going into the main event I was expecting to come out of lane 7 or 8 but luckily ended up in lane 5. My main was a little slopping not using the corners properly but slotted in for a 5th. Saturday I went 3-4-3 in motos and had 6th lane pick going into the main, coming out of lane 6. I had a good gate but struggled from the 30 foot line on, running out of gas by the looks of the video. I tried to pass around the rest of the track but got stuck behind girls unable to pass. I ended up 6th. I was happy to be in both of the mains this weekend and I am stoked to be seeing some improvements, but still hungry for better results. I am back in San Diego for two weeks before heading to Toronto, Canada for the Pan Am Games Test Event June 13-14. 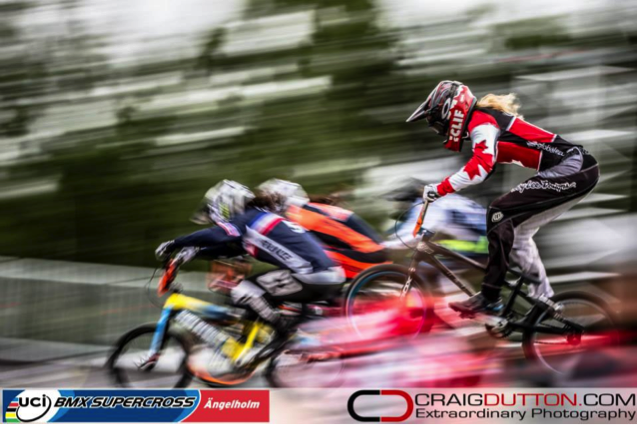 Huge thanks to everyone that has supported me over the last few months, you all know who you are smile emoticon & of course my sponsors: Clif Bar , GT Bicycles, Team Ontario Cycling, Magnolia BMX & Mum and Dad." "24 year old Caroline Buchanan embarks on the 2014 UCI BMX Supercross World Cup series with one goal in mind. Take a ride with Caroline as she travels around the globe & secures the BMX World Cup Title. Caroline takes you behind the scenes in this one hour documentary of what its like to be a 5x World Champion action sport female chasing gold. 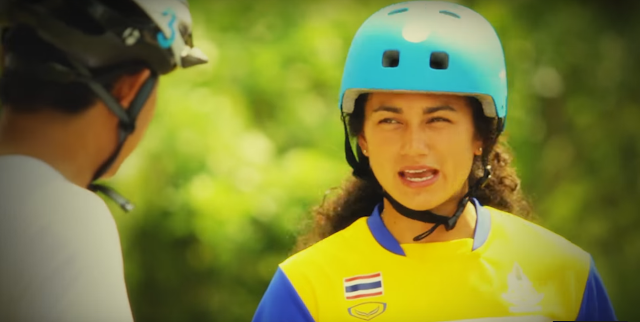 Check out her track in her backyard, adrenaline junkie down time and unseen footage securing the World Cup title." 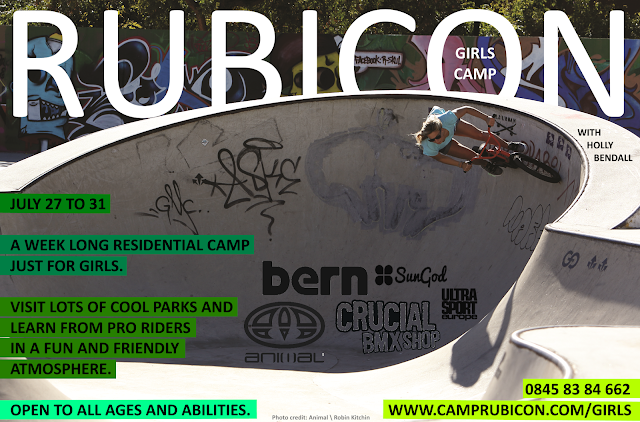 "This Summer we're running our 4th Girls Only Camp which includes BMX. 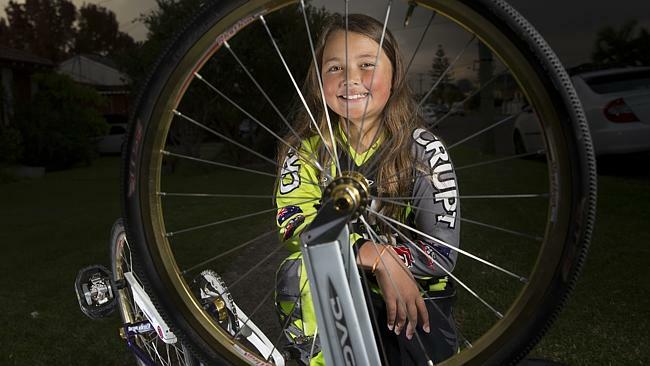 We've got pro rider Holly Bendall joining us on camp to teach other girls of all ages and abilities, bmx skills and tricks. The camps are week long and residential - and during the week, the girls get to visit 10+ different skateparks! It's a relaxed and friendly atmosphere - and loads of fun. It’s here again! This time bigger and better. 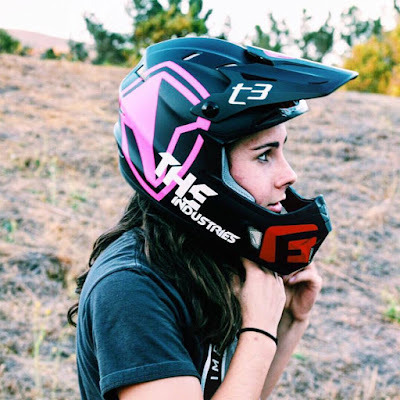 Whether you ride MTB or BMX (or both!) 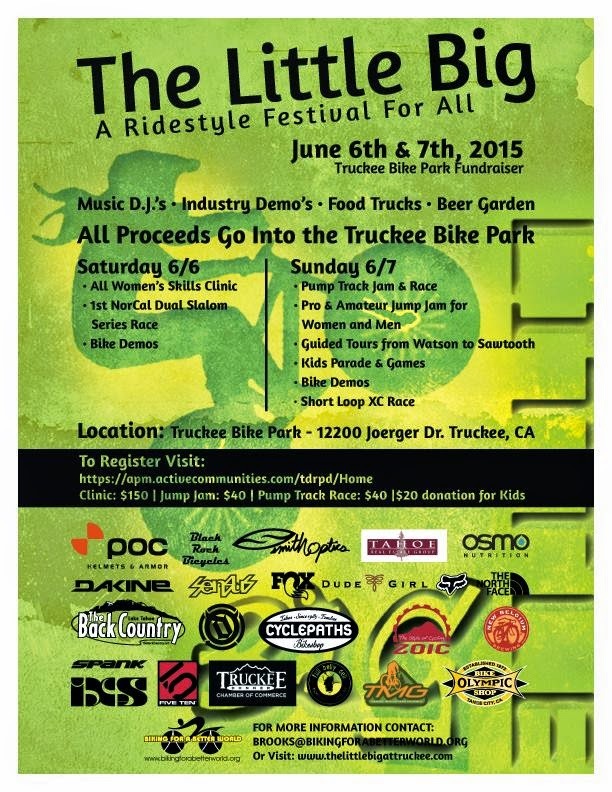 if you’re around June 6-7th, I suggest you hit up The Little Big Ridestyle Festival in Truckee, CA! Joining all the rad events for the ladies, EVERYONE is now invited to make for the ultimate shred fest! The Truckee Bike Park Project hasn’t stopped growing, and this year will include not only the jump jam from past years, but also a dual slalom race, short loop XC race, and pump track jam. There will be Women’s and Men’s classes for all races/jams. 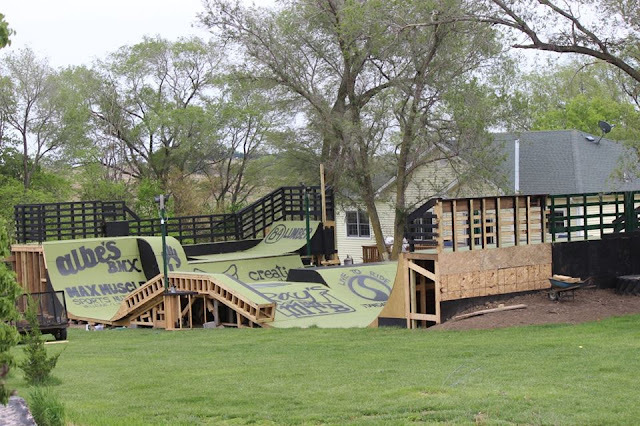 In addition to the various races and the Women’s Skills Clinic going on, there will be games, DJ, food trucks, New Belgium trucks, bike demos from Giant and Specialized, and kids flow bikes. Besides having a ton of fun on your bike (which I’m pretty sure is a common goal of ours), all proceeds from this event help the ever expanding and evolving Truckee Bike Park. I will be there shredding as well as helping out with the Women’s skills clinic, hope to see you there too! New Edit from ALEXIA DEJOIE! ALEXIA DEJOIE KT1 - CAYLER & SONS FRANCE from allexiia on Vimeo. 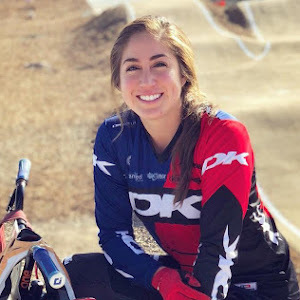 Raised in Philadelphia, now residing in Charlotte, Carley Young has been racing since the age of 6, and competing as a pro since she was 16. With 25 years of racing under her belt, and nearly 75 clinics a year, Carley is definitely more than qualified to answer your questions. Whether your questions are about her, racing or Ride Like a Girl, head over to the contact page and send us an email! 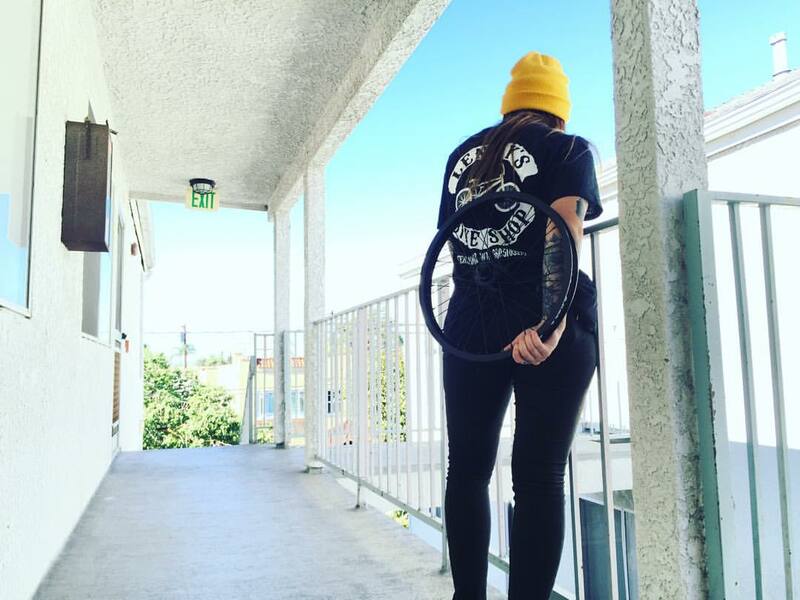 Shanaze Reade departing from BMX? 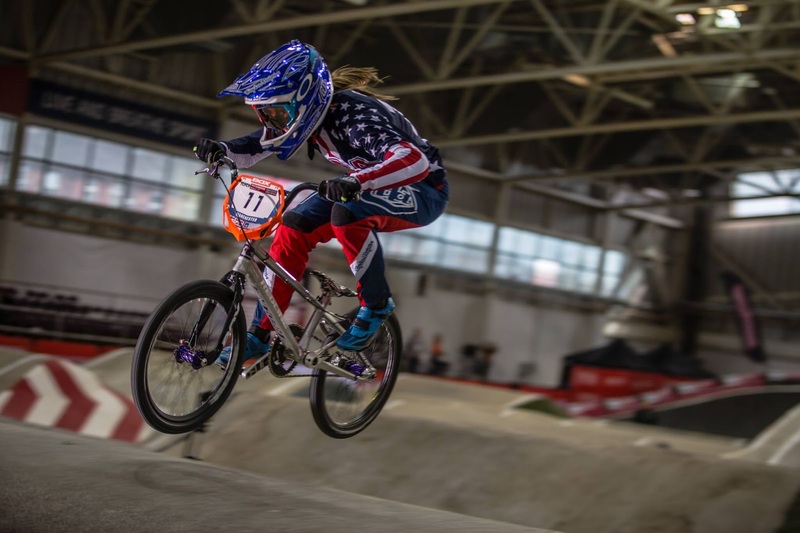 Shocking news from the Shanaze Reade Facebook page today, announcing that she will be departing from BMX to join the Great Britain Track Sprint Team. Although we don't know the extent of what her departure means, she writes "Really excited to join the GB track sprint team! BMX has been my life for the last 15 years.... But I am now ready for a new challenge for Rio 2016!" 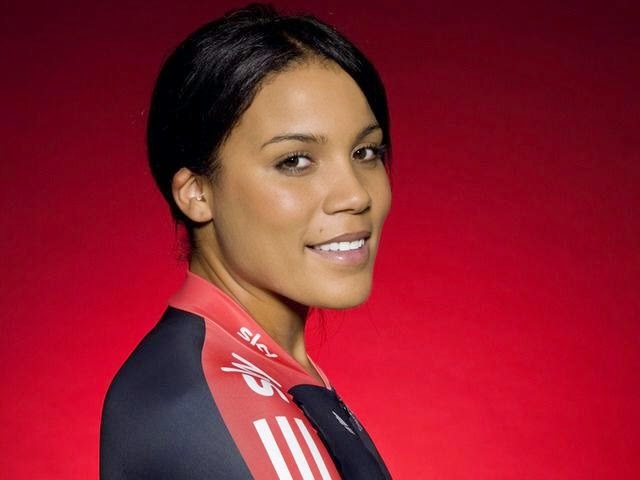 Shanaze is actually returning to the track cycling world, after taking a period of time off to concentrate on BMX. Her departure as a professional track cyclist was after obtaining world titles in 2007 and 2008, and of course now Shanaze is returning with BMX world tiles from 2007, 2008 and 2010. Julie just sent us over her 2015 Winter edit, which includes a little bit of her lifestyle too. Thanks for sending this in Julie! Can you believe it? Simple Session has been around for 15 years! I know we all wish there was still a girls class, but regardless we should set our opinions aside and continue to support an awesome contest like Simple Session. Not only that, let's show our support for Camila Harambour, who was the only female rider invited this year. On Sunday April 19th, let's #CamilaSession on all the social outlets to show our support! 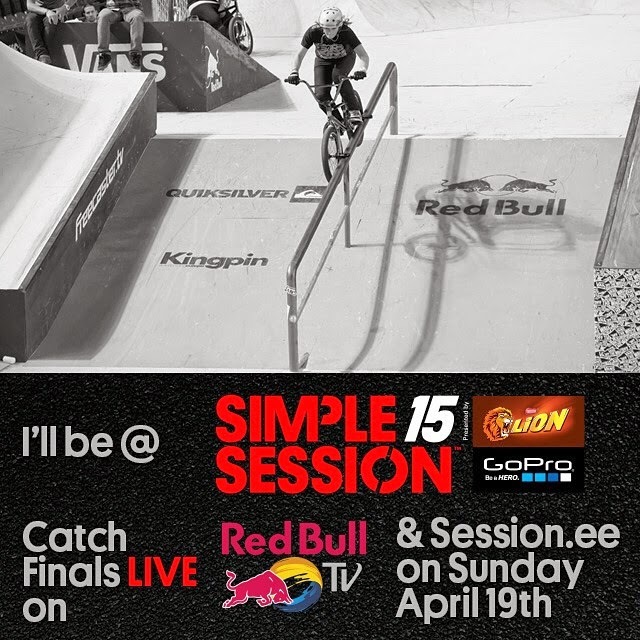 "So stocked I'll be going to @simplesession 15 year birthday! I'll be the only girl riding there this time so I'll do my best to represent all the ladies in the course smile emoticon .. Let the party begin!